The Managing General Agent (MGA) scene in Canada is very strong – and it wouldn’t survive without a thriving broker force. One Canadian company making the most of the valuable distribution channel is Anderson McTague & Associates. 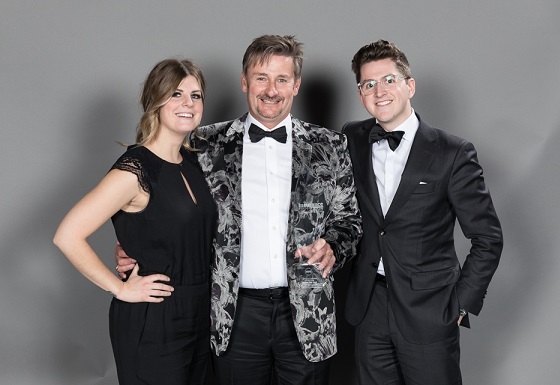 Last week, the MGA won the ARAG Canada Award for MGA of the Year at the Insurance Business Canada Awards 2017 – an accolade it attributes to its broker support. “It’s very humbling to be honoured with this award,” said Chuck McTague, president of Anderson McTague & Associates. “Thanks must go to our Atlantic Canadian brokers who support us, because without them, we wouldn’t be in this position. In recent years, there has been industry-wide speculation around the future of intermediary distributors in the insurance world. How will the role of the broker survive against the onslaught of insurtech and direct-to-consumer models? “The service we provide to our broker partners is our number one focus,” McTague told Insurance Business. “We respect the fact that our brokers continue to support us, so we do our very best to try to earn that respect back from them. Moving forwards part of that broker service at Anderson McTague & Associates will include technology platforms and solutions. McTague hopes to have a “couple of exciting announcements for the broker force” in 2018 in order to keep service levels high.